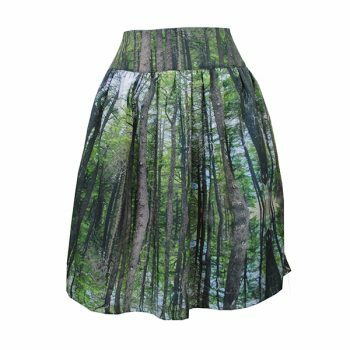 The Gathered Skirt is made in 100% cotton sateen printed in our exclusive fabric prints. The skirt is fully lined with side pockets and a back invisible zip. 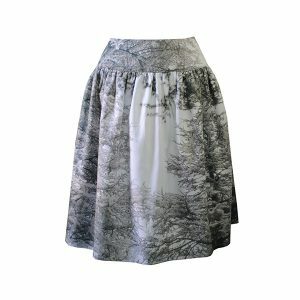 Our exclusive fabric prints are designed by and printed for Zilpah tart using a photograph taken in and around Canberra. The Purple Forest Print, Green Forest Print and Grey Forest Print were created using a photograph taken at the Himalayan Cedar Forest at the National Arboretum, Canberra.